Roofs have been ripped off houses, trees have crashed to the ground and trampolines have flown out of backyards as severe storms batter Victoria. 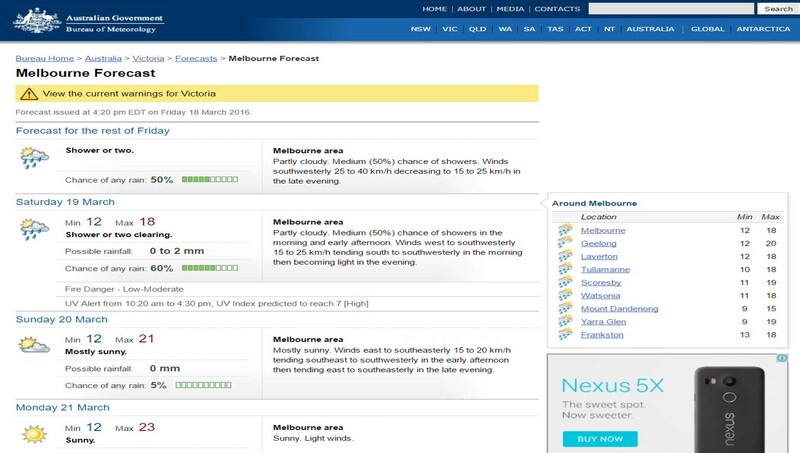 The State Emergency Service has received more than 520 calls for help since midnight on Friday with 73 calls coming from the Wyndham region in southwest Melbourne alone since 6.30am. Some 100 calls have come from across Gippsland. Thousands of Victorian homes were without power, but most have had it restored after the state was buffeted by high winds and heavy rain. A woman from Wyndham Vale, one of the worst areas hit, rang radio 3AW to say a ‘mini tornado’ had ripped through her street. In a dramatic call to the radio station, she claimed: “We’ve got people’s fences ripped down, there’s holes in roofs, ceilings have fallen down. A severe thunderstorm warning has been revoked but a severe weather warning for damaging winds and heavy rainfall remains in place for Victoria’s central, northeast and eastern regions, including Melbourne. Much of Melbourne has recorded more than 12 millimetres since midnight, while Strathbogie in the state’s northeast was drenched by 44mm of rain in nine hours. Aspendale resident Andrea Perry says her family of four was woken by “an almighty bang” as her neighbour’s roof was dumped onto her home in Melbourne’s southeast. 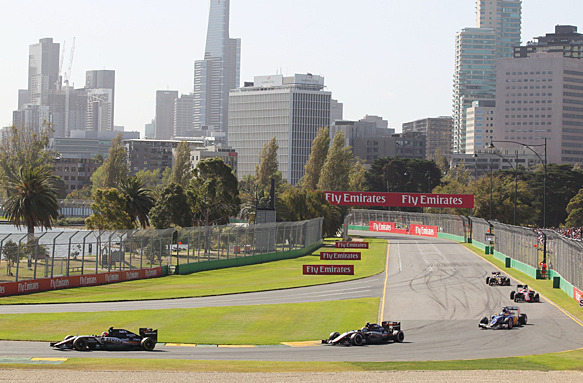 “The neighbour’s house next door, they are renovating, and the whole roof has completely landed on our house including all of our cars, boat and my husband’s work truck,” she told 3AW on Friday. Two men have apparently escaped this at Yarra Valley. Victorians have reported gale-force winds tossing trampolines and other children’s play equipment over several fences. Victoria SES spokeswoman Jacquie Quaine says most calls for help have been for damaged roofs but there’s also been reports of fallen trees. Though no flash flooding has been reported, Ms Quaine expects SES crews – especially those in Wyndham, Melbourne’s southeast and the Gippsland region – to remain busy for the rest of Friday. “With the high volume of calls in such concentrated areas, we’re asking for patience,” she told AAP. Train commuters in many parts of Melbourne have also suffered delays and cancellations. A tree across tracks in Ripponlea suspended services on the Sandringham line, while trains on other lines were forced to reduce their speed due to wet tracks. There were also reports major delays on the Sunbury, Lilydale and Craigieburn lines. The expected top temperature for the day of 21 degrees was achieved before 9am, with a cool change coming through meaning temperatures for the rest of the day were be in the mid to late teens. The peak gust in Victoria was an eye-watering 96 km/h at Fawkner Beacon in the Bay, just off Brighton. Just how this little drive in the park is being affected who knows? so everything should be hunky-dory. I think we might have another raffle this evening, but it will start a bit later than usual: 7pm to let those in the Wild West have a better chance of getting their numbers in on time. Please don’t ask for numbers before 7 – I have a few things to do, so just let your engines idle until that witching hour. Anyone want to go on a cruise? That last bit, about a man dying during the cruise – there is usually a death (or two) on board during any cruise and what makes it so much more interesting is cruise ships don’t have on-board morgues, so the body (or bodies) is stored in the freezer, along with all the frozen food passengers will be eating during their voyage. This happened to a friend of mine, who took her elderly friend on a to week cruise. The friend died during the second week, the ship kept cruising and the body was stashed in the freezer. You’re familiar with the clean up campaign, aren’t? I had put my own little heap – chicken wire and a chair. Next morning I found an odd item that didn’t belong to me. Guess what? Some sort of hospital bed pan with cannulas and all … Needless to say that even though it was clean, it was revolting. I despise whoever did that to me. I live in a Lib area. What a disgusting thing to do. We have a different problem around here. You put your junk out for collection, the locals swoop on it and take most of it away before the clean-up truck arrives. Last time I put out rubbish most of it was taken away, even a dead microwave and a broken-beyond-repair computer chair, All that remained for the truck was the one thing that was still useful, a pipe-style bunk bed, unbolted and in several bits. I actually like it when people come before the truck and get what they want. At least it can still be of some use. What locals often do is mess up their footpaths with any small junk possible like clothes and soft toys, etc instead of giving the best bits to charity and put the rest in the bin. Boxes and light items seem to get caught in the wind and you find them on other people’s footpaths or on the roads. Just a few bad days to put up with, I suppose. If it’s to be Trump or Cruz to win the GOP nomination I think I would opt for Trump. Cruz is a Southern Baptist and the darling of the Tea Party. A very dangerous “it’s all up to the individual” nutter. I agree with you TLBD. From what I’ve seen of them both (and I’ve been watching most of the Primary coverage on CNN) Trump appears to be psyco mad while Cruz is nasty, sort of evil). Kasich is a more normal Republican – his parents were Democrats – but his chances of nomination are minimal. I am very impressed with Sanders but it looks like Clinton will have the numbers to down him. She will be far from a perfect President but probably the second best since Carter. DD and I have just been talking. We would both prefer Sanders, and are terrified by Cruz. A bit like choosing between syphilis and gonorrhoea! Concetta Fierravanti-Wells loses top spot on Liberals’ Senate ticket. Knucklehead, just get rid of above the line. Simple. Of course, the Constitution doesn’t recognise parties so above the line is a nonsense in the first place. Labor, after electoral boundary changes, now needs a uniform swing of 4.4% to win government. I believe that translates to 19 seats that we need to win. However such a swing is never uniform. One of those 19 seats is Reid which according to Antony Green requires a swing of 3.4%. As a Reid Labor Branch Vice President, I can categorically state that we CAN NOT win Reid without Greens Preferences. The sitting Liberal MP Craig Laundy won Reid with 0.9% margin. I guesstimate he out spent us $100 to $1 in the 2013 campaign. During the height of Abbott’s unpopularity private polling was showing that he had increased his margin, 52% to 48% 2PP. He was and is a Turnbull confidante at least from the beginning of 2015, probably even earlier. He is one of the top two richest men in Parliament. He has been rewarded by Turnbull with an Assistant Ministry (Multicultural Affairs). We will see Turnbull a lot in Reid campaigning for Laundy,(he was here yesterday). Labor can’t win Reid without Green Preferences and without Reid Labor can’t win government. The Labor Green flame war is only aiding & abetting the Turnbull Govt. Michael Kroger must be rubbing his hands with glee at what he has started. Why assume all Greens voters will not be preferencing Labor? I would have thought Laundy was likely to be one of the Liberal ‘oncers’.If the protest votes against Labor in 2013 swing back to Labor and there are still plenty of Greens preferences he’s gone. A bit of distaste for the Greens because of Di Natale’s treachery can only help Labor by making a lot of those swinging Greens voters return to Labor. MALCOLM Turnbull will get a $6500-a-year tax cut in the May budget but average earners will get nothing — unless he can convince his Treasurer to cut income taxes. Every Australian earning more than $180,000 will secure a big tax cut next year, with the Turnbull government abolishing the temporary deficit levy as planned. But scrapping the levy poses a challenge for Treasurer Scott Morrison as he argues there’s no money left for a tax cut for average earners. He will secure a $3717 tax cut next year and Deputy PM Barnaby Joyce will net a windfall of $4400. By comparison, a couple on a single income of $65,000 with two kids in primary school stand to gain $525 from the fortnightly increase to FTB-A but lose $860 in SchoolKids Bonus and $1806 in FTB-A and B supplements under changes announced by the government. In total they are $2141 worse off. The policy to hike taxes for high-income earners split the Liberal Party and sparked bitter divisions in cabinet when The Sunday Telegraph revealed the levy in the lead-up to the 2014 budget. Cabinet ministers were furious to learn from a newspaper that the Abbott Government planned to break a key election promise on tax. Stuffed up one of the tweets above, so I deleted it, that’s why it doesn’t show properly anymore. Here is another one instead. SHE’S “election dynamite’’ and the most talked-about woman in Australian politics. Now Peta Credlin, the former chief of staff of dumped PM Tony Abbott, is getting her own platform on television. In news that will send a chill down the spine of some federal MPs, Ms Credlin is in talks with Sky News about joining its federal election coverage. While the deal is yet to be finalised, the broadcaster is understood to be close to signing the woman who knows where all the bodies are buried. 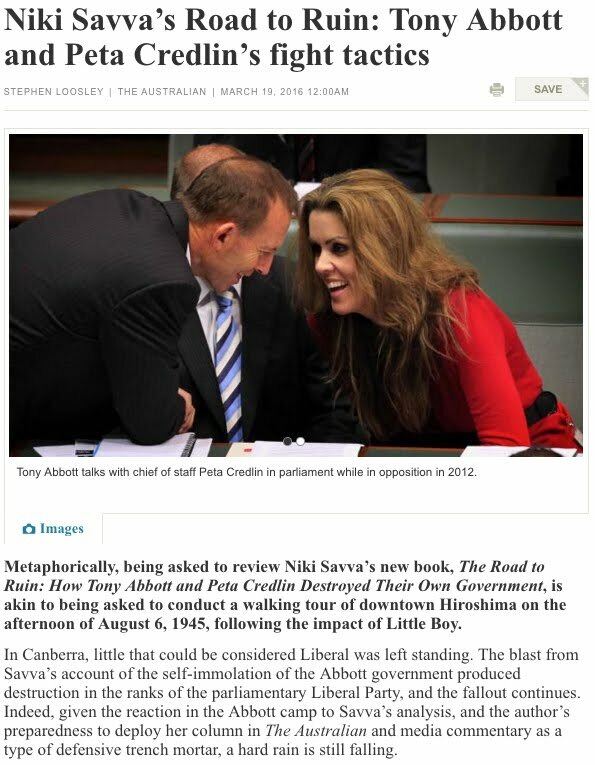 After toughing out weeks of brutal coverage over the Abbott years, including a book by Niki Savva that she described as “vicious’’ and untrue, Ms Credlin is expected to join the broadcaster. After a 16-year career in federal politics, she has more campaign experience than most frontbenchers, for Labor or the Coalition. Ms Credlin is understood to be keen to deploy her memory to put pressure on both sides. During Mr Abbott’s time as party leader, she was integral to policy development and campaign logistics. She has also been part of every major policy and budget discussion within the Coalition over the past eight years, a fact that will make Prime Minister Malcolm Turnbull nervous. One Liberal said: “She’s smart and has a long memory. I bet those within the Coalition who have tried to make her the scapegoat for Abbott’s removal will be regretting the ferocity of their attacks. Ms Credlin has emerged as a surprise favourite among ALP supporters, with Labor leader Bill Shorten paying tribute to her as a “very strong warrior for her code”. Appearing on the panel for The Australian Women’s Weekly’s annual Women of the Future Awards after the September Liberal leadership spill, Ms Credlin admitted “it has been a tough week”. She said: “I refuse to be defined by insider gossip from unnamed sources where no one has the guts to put their name to it. “And if you’re a cabinet minister or a journalist and you’re intimidated by the chief of staff of the prime minister — well maybe you don’t deserve your job. “If I was a guy, I wouldn’t be bossy, I would be strong. I wouldn’t be a micromanager, I’d be across my brief. Despite the hoopla that was in effect the same as The Rodent’s tax cut era. Peasants got peanuts compared to the high income peeps.All very Tory. ‘Dave’ in the UK in one of his first ‘austerity’ budgets slashed welfare but hey ho those who earned over a million pounds a year got a very nice tax cut.. Ah their slogan “We’re all in this together” . LNP bullies disrupt & degrade #Safeschools program: The story to date. What next? Prison hulks returning to Botany Bay? Baird will probably tell us more prisons create more jobs. They have to have somewhere to lock up all those protestors against CSG and mining. Protesting in NSW will have bigger penalty than owning an unregistered gun. Just saw that. Mr Wallace seems to have deleted that tweet, but his others are just as stupid. Wallace says he is “Leader, Australian Conservative Party. Candidate for federal senate (NSW), advocating major democratic reform, ex NSW Police” A flick through his tweets shows him to be your classic, hate-filled RWNJ. Worked for Bill Clinton. Y’all type towns across the country went in for the “prison industrial complex” to solve their employment problems. Worked for a while. From Salon. Hillary Clinton wants to run for president as an economic populist, as a humane progressive interested in bolstering the fortunes of poor and middle class Americans. But before liberals enthusiastically sign up for Team Hillary, they should remember this: In the late 1990s, Bill Clinton played in instrumental role in creating the world’s largest prison system — one that has devastated our inner cities, made a mockery of American idealism abroad, and continues to inflict needless suffering on millions of people. And he did it with his wife’s support. Bernie won’t win but Grrrr any more Clintons getting near the Whitehouse. Had a brandy and soda on the verandah of the Seacliff Hotel this afternoon, after which I untied the dog and we walked back to Somerton Park along the beach. Bit of a walk that, dog is still flaked out under my chair. 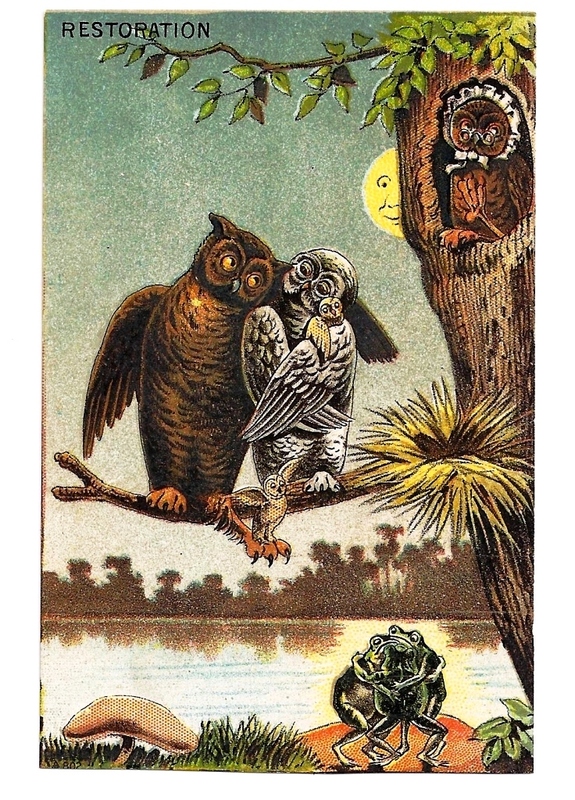 I noticed your comment at the Loon Pond regarding the direction Abbott’s eyes appeared to be staring at in the case of Concetta Fierravanti-Wells. You missed the one from 2012 with Peta Credlin. Draw a line from the rAbbott’s eyes towards Ms Credlin & they certainly appear to be staring at her breasts. We’ve had a busy weekend here so haven’t been able to relax enough to get my head around what happened in the Senate other than Greens did a deal with Libs and changed the voting. I read somewhere that Penny Wong got an amendment passed that would mean all senate leaders would have to agree to reconvene the senate earlier than 10th May. Can someone tell me if this includes the Independants, or is it just the Labor Greens and Coalition? Also, I realise most here understand what the changes mean, but is it possible that someone that can explain it clearly write a separate thread? Each article I’ve read has got me confused, each saying slightly different things. From yesterday, but I missed it. Note the crucial bit at the end (internal polling & why there may not be an early DD election). I’ve copied the lot so you don’t have to break the strike ban on Fairfax clicks yourself. The Prime Minister has hailed the passage of electoral voting reforms on Friday as “a great day for democracy” – clearing another major obstacle to a possible July 2 federal election. The odds to an early poll shortened dramatically with the passage of the Senate changes, although the process is complex and far from assured as Malcolm Turnbull considers the party’s latest polling. Mr Turnbull said there was nothing more important than proper parliamentary representation that reflected “as far as possible the will of the Australian people”. “For too long, the Senate voting system has been disturbed by backroom deals, by preference whisperers, by the manipulation of micro parties – such that the will of the Australian people has been frustrated,” he told Parliament. But Labor’s Tony Burke mocked the Prime Minister’s claims, saying his greatest policy achievement so far had been the “rorting of the Senate vote”. If they choose to vote below the line they won’t have to number every box. 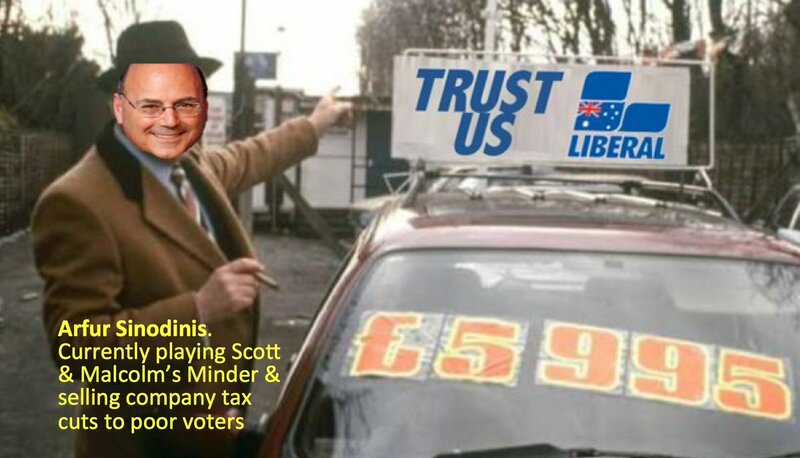 With the new voting rules in place, it would be virtually impossible for so-called micro-party senators, including Ricky Muir from the Motoring Enthusiasts, and Family First’s Bob Day, to retain their places. A senior Liberal Party figure told Fairfax Media that Mr Turnbull had “effectively given himself a put option” with the passing of the Senate reforms, which take effect from July 1. Internal Liberal Party polling shows that Mr Turnbull’s voter support is on a downward trend – although the last Fairfax-Ipsos poll, published last Sunday showed Coalition two-party support up 1 percentage point at 53-47. The Libs wanted the president of the Senate to have the say-so on the Senate coming back early. Penny Wong had a vote passed saying that it would be decided by the majority on the floor. Not all members of a party have to be present for that vote because the leader or deputy-leader of that party in the Senate will have their proxy votes. Teleconferencing, email, pigeon-post or whatever. After what he’s done to stuff the NBN, I suppose an online effort is off the table, with the door closed. It was done to stop Turnbull’s plans to bring the budget down a week early, giving the senate a whole week (!!!) to scrutinise it and pass it so he could call an early election on 12 May, the latest possible date for calling a DD. If he tries this on the senate will have to be recalled for the vote, and it’s now likely that vote would be a loss to the government. Top marks to Penny Wong for managing to spring this surprise on the government, right at the end of business on Friday, and for getting a division when a lot of the government senators had already left the building or were too busy to run in for a vote. Here’s how it began, with a motion from Mitch Fifield to adjorn. There was a brilliant Trump cartoon on Twitter earlier today – his mouth had been stretched out and made into the shape of a trumpet, which he was playing, and out was coming hate music. I forgot to save a copy, and now can’t find it. If anyone can help . . . 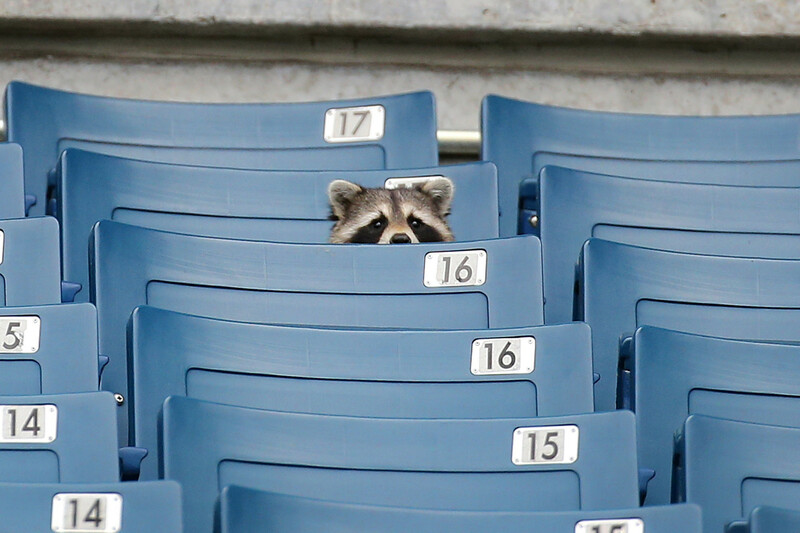 Thanks for clearing up that little mystery for me, so I take it they have to consult with the Independents as well. The senate does not vote by video conference or phone hook-up, senators have to be in the chamber in person. Also, there are no proxy votes accepted. If you can’t be there the other side is supposed to arrange a pair with one of their number abstaining from a vote. Same thing for the reps. The changes are not, in themselves, a bad thing. Labor objected to them being rushed in preparation and rushed through parliament so Waffles could have his earlier election. This explains what we now do to vote for senators. A very detailed piece on how voting in the senate works, for those who question the ‘no proxies’ thing. The Senate president has been given the power to bring the upper house back for an early budget sitting. But a successful last-minute amendment from Labor means the president will have to either get approval of party leaders or an absolute majority of senators to change the next sitting day from May 10, the scheduled date for the federal budget. 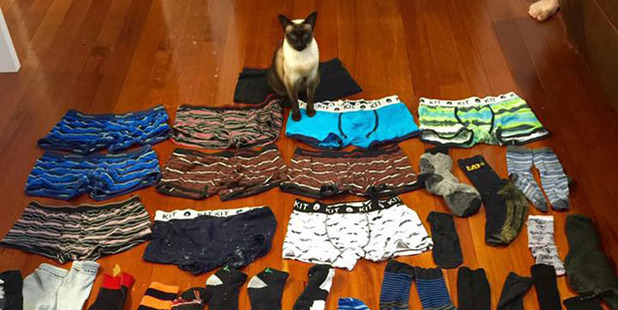 The cat, who lives on George St in Hamilton East, has brought home 11 pairs of underpants and more than 50 socks in the last two months………….”In our last house she’d bring home a bit of everything – she’d bring home men’s undies, women’s undies, togs, she even brought home a hockey shin pad and a jumper. “She was much less discerning – now she’s decided menswear is the thing.. Comments here will close presently – in the Shakespearian sense.